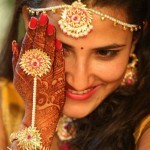 Mehndi function has a great significance for the bride and her relatives and is enjoyed with music and dance. Furthermore it is an occasion where everyone can dress up and just enjoy. But amidst all this how about keeping favours for the guests. Here are few ideas which will help you in choosing your pick…. 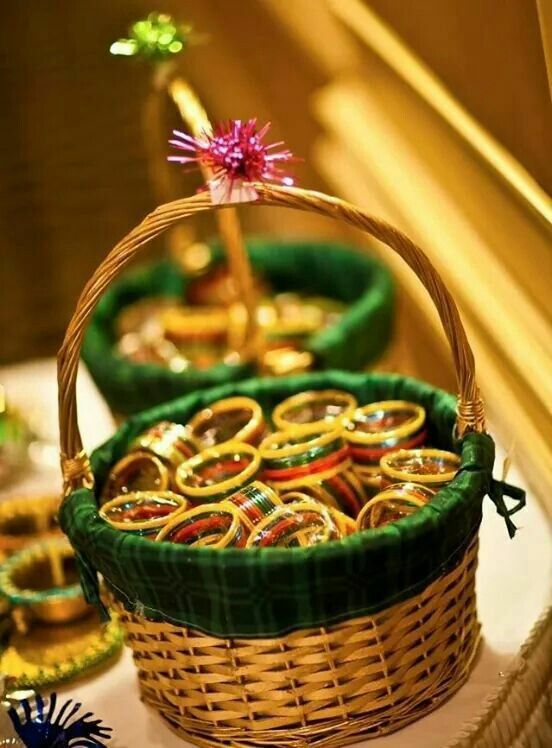 Bangle basket– You can pack colorful bangle sets in a bamboo basket as a take away gift. Choose small size baskets which can be filled easily. You can also decorate the handle of the basket with fresh flowers or with a bling pom pom. 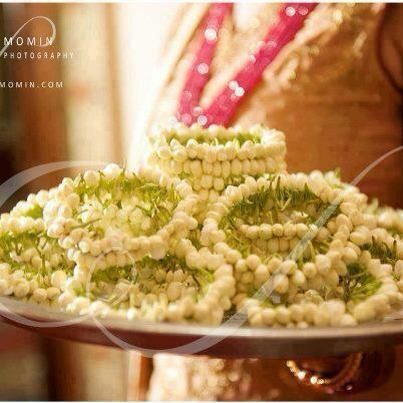 Fresh Flower Bangles– Mogra flower buds are great to be used for a function like this. You can also opt for gifting a jewelry made out of these fresh flowers. A bracelet would be great as everyone would be able to wear it easily. Though it won’t last for days but there is nothing like gifting something fresh to the guests. Gota Jewelry– The best jewelry apart from fresh flowers for a function like Mehndi is gota jewelry which is so much in fashion right now. How about keeping the same for the guests as well. 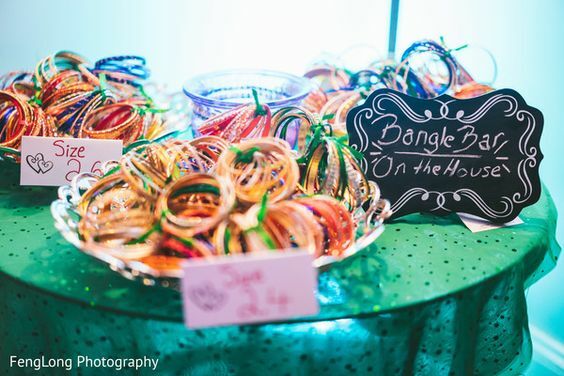 You can pick gota inspired key chains, finger rings, bracelets and hair pins. 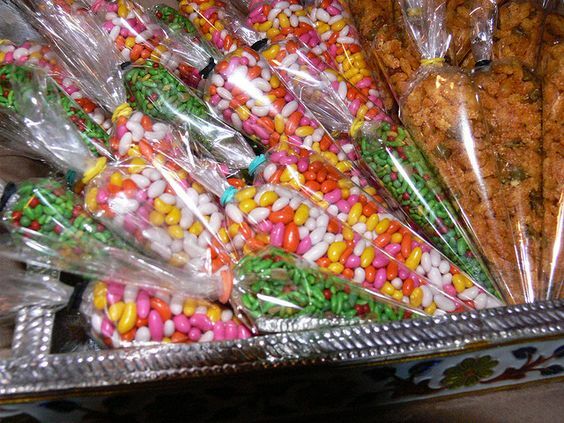 Heena cones– You can also give treats in plastic bags done like heena cones. Treats like sweetened Indian saunf or mix dry fruits can be given like this. 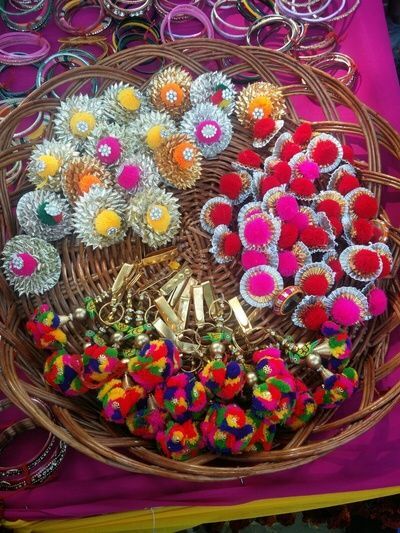 Bindi packets– Since Mehndi night is all about getting dressed up and enjoying, you can also gift packets of fancy bindi’s as favours. 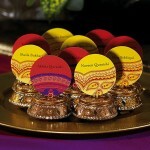 Decorate mehndi packets with silk or taffetta cutouts and decorate with lace to make them look more appealing. 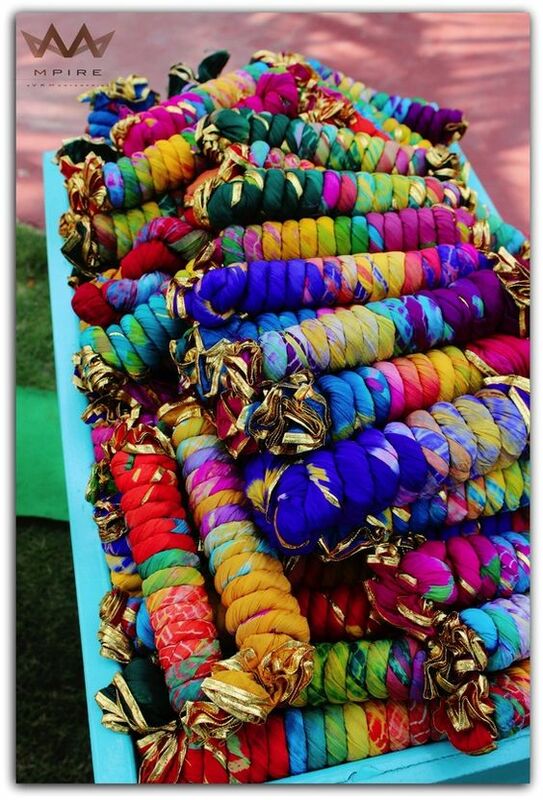 Tye and dyed dupatta’s– A gift to cherish for a long time and people from all age groups can wear it. 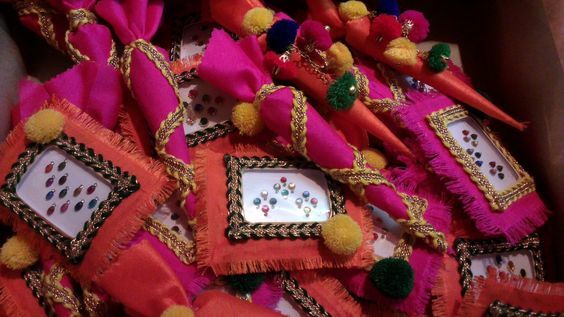 Colorful dupatta’s can pep up the simplest of the kurta’s and are perfect for a gift.